Raise us upward to the Sun! 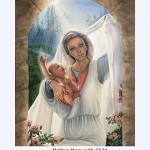 Mother Mary lived as the Mother of Jesus in that lifetime on our planetary body. After her lifetime, she Ascended to her I AM Presence and now holds the office with Kwan Yin of Divine Mother for our Beloved evolutions here on Freedom’s Star. We connect with Mother Mary for Healing, God Vision and to hold the Immaculate Concept for us and our Victories in the Light. Mother Mary was chosen to be Jesus’ Mother in his embodiment because of the magnificent power of the Love of her Heart and her ability to hold the vision of Jesus’ Victorious Mission. She held this vision beautifully, and Jesus was able to fulfill his mission in God Light because of her inner strength and love. 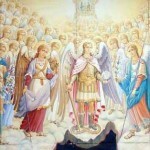 She now holds the glorious vision of our own personal Victories and the fulfillment of our own Divine plans. 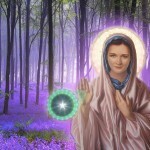 She is a very loving Divine Mother and will comfort us in times of need and bring healing and wholeness to the deeper levels of our Being, which will reflect in Healing in all Ways in our lives. Mother Mary helps us surrender the ego illusions that block the flow of the Abundance of the Mother, and she does so in Loving and powerful ways. 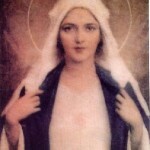 As we are now entering into the Age of the Divine Mother, connecting with Mother Mary daily is very helpful in opening our Hearts and fulfilling our Divine plan every day. She is a beautiful Being of Cosmic Light, and it is so very valuable to call in her Presence to your Loved ones and the world around you. So many are in dire need of the comfort of the Loving Mother, and Mother Mary has a Heart that draws on the Infinite Light of the Father Mother God of All creation to outflow the Emerald Healing Light to All who ask. Let us call for this Light daily so that the world may once again know the loving embrace of the Divine Mother. 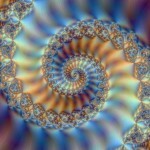 With the assistance of the Divine Mother, we enter into the Golden Age in most profoundly beautiful Ways. Here is an updated version of the Hail Mary that Mother Mary released to help us call forth her Loving Embrace into our world. She wants us to know the Divine is within us, and truly we are here to transcend the illusions of lack, suffering, and even death! 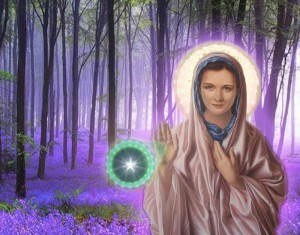 Mother Mary brings us the Light of eternal Life, and together we bring in the Golden Way of Emerald Being. Mother Mary’s books from other sources.